An 88-year-old man left heartbroken when his disabled wife was taken into care singlehandedly built a ramp so she could finally bring her home – after almost a YEAR. Roy Townsend was devastated when his beloved Pat, 77, suffered a stroke last September which left her paralysed down the left side. 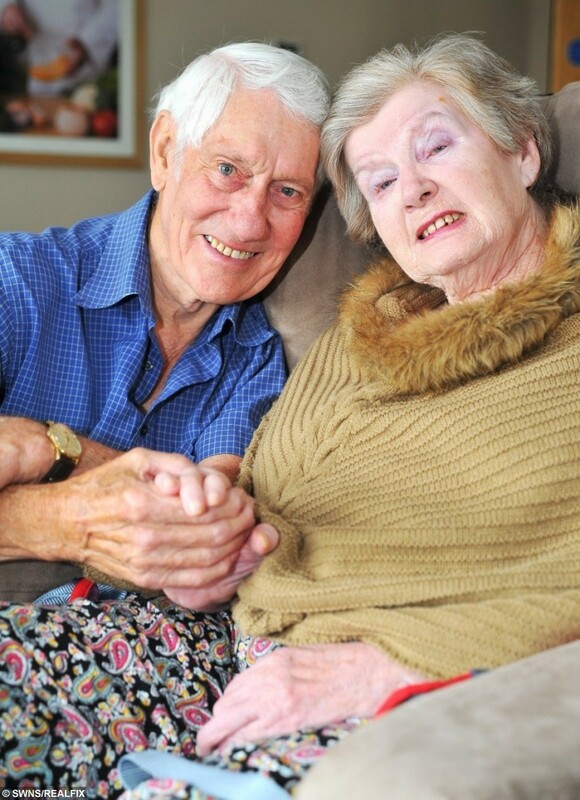 After spending two months in hospital, she was moved to Orchard Vale Care Home in Swindon, Wilts., – a bus journey away from their home on the other side of town. With Pat wheelchair-bound and Roy unable to lift her, they had no way of getting her up the steps to the house they shared for 45 years. 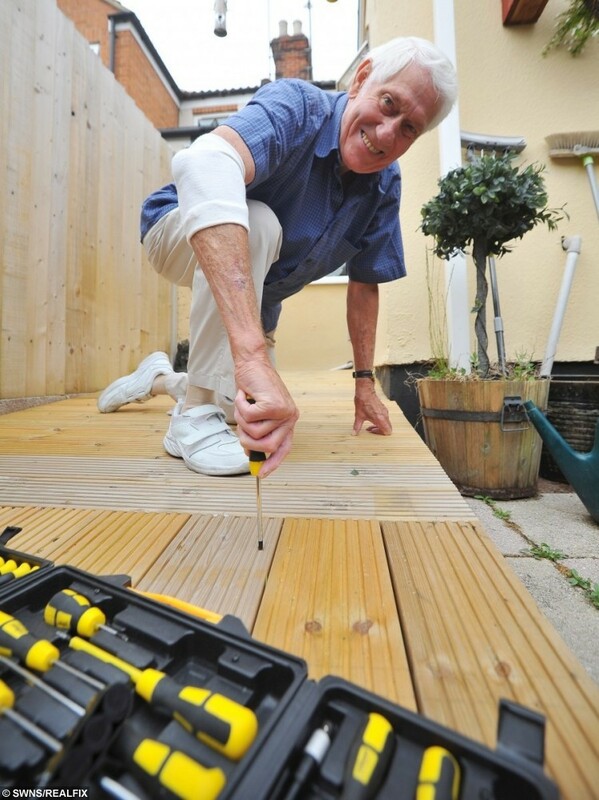 Desperate to bring her home, DIY fiend Roy, of Swindon, Wilts., decided to delve into his toolbox and worked around the clock to build a ramp from scratch. 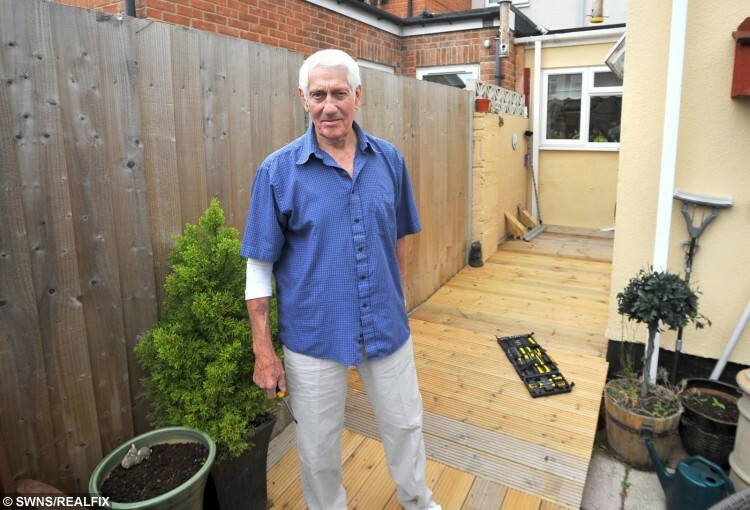 He spent three weeks sawing, drilling and hammering the wooden ramp himself after seeing shoddy council jobs – and thinking he could do it better himself. It was, the dedicated pensioner said, the actions of a man who is “madly in love”. Finally, ten months after Pat suffered the terrifying stroke, the overwhelmed grandmother was last week able to go back to her marital home. Spritely Roy, who worked for packaging suppliers Multivac until he was 82, said: “I did it because I love her. “When you’ve been with someone for 45 years and suddenly they are taken away from you, you want to do everything you can to bring them back, if you can get them back. Roy visits former Post Office worker Pat and stays by her side for around six hours. He knew that her dearest wish was to return to the their home. But he had previously tried to get her inside and realised that he couldn’t get her chair up the steps, so they were forced to have a picnic outside.